Diagnosed with kidney disease 10 years ago, Tony Castro, a University of Toronto (U of T) employee, has been on dialysis for the past four years while waiting for a transplant. For Castro, this means spending several nights a week at the hospital for dialysis. “Despite major challenges, Castro always remains positive and a great husband, father and member of the U of T community,” says Ivan Sestak, senior manager, ITS client support services. 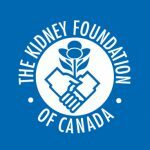 Every year, Castro participates in the Kidney Walk to raise funds for kidney research and programs and to increase awareness around the importance of organ donation. For the 2018 Kidney Walk, his goal was to raise $1,000. However, with help from family, friends and the ITS community, Castro nearly tripled his goal, raising close to $3,000 for kidney research. Many ITS colleagues have contributed to the Kidney Foundation of Canada on Castro’s behalf. Recently, ITS senior network administrator, Alan Prendergast, and wife Cathy, won a new eighth generation Intel processor. They opted to sell it and donate the proceeds to the Kidney Foundation of Canada in support of Castro’s fundraising efforts. Both Alan and Cathy were also tested for kidney donation. Although they were not compatible donors they continue to advocate for kidney donation and encourage others to get tested for compatibility with existing kidney transplant candidates. “Through these efforts we can help others, raise awareness of organ donation and hopefully find matches for many people,” says Castro.